Unlike most other floral gift specialists, Direct2Florist doesn't think it's right to take a chunk of commission from your order, so we don't. That means the florist receives more money, allowing them to use more blooms in your bouquet, in turn ensuring a bigger gift can be delivered to the lucky recipient. 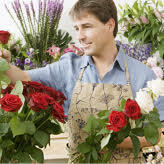 Plus, by going direct to local florists, you can be assured of receiving the sort of high-quality service you only get from local retailers. 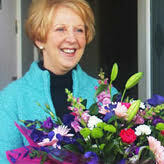 By going direct to local florists you not only get to benefit from their high levels of service, you also get the benefit of local knowledge, delivery by hand - we never use couriers - and specific knowledge of local flower availability and those hard to find delivery addresses. 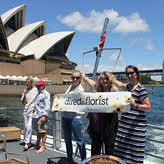 We have florists around the world, all waiting to deliver an exquisite floral gift for you. 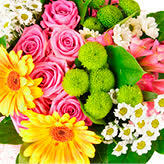 Place your order before 2pm where your flowers are to be delivered and same day delivery is not a problem! That's why going direct is the best way. 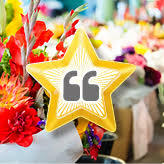 Every customer that orders through Direct2Florist is invited to rate and review the service they've received,allowing customers to confidently choose the best florist. You can also see pictures of the work produced by local florists too.